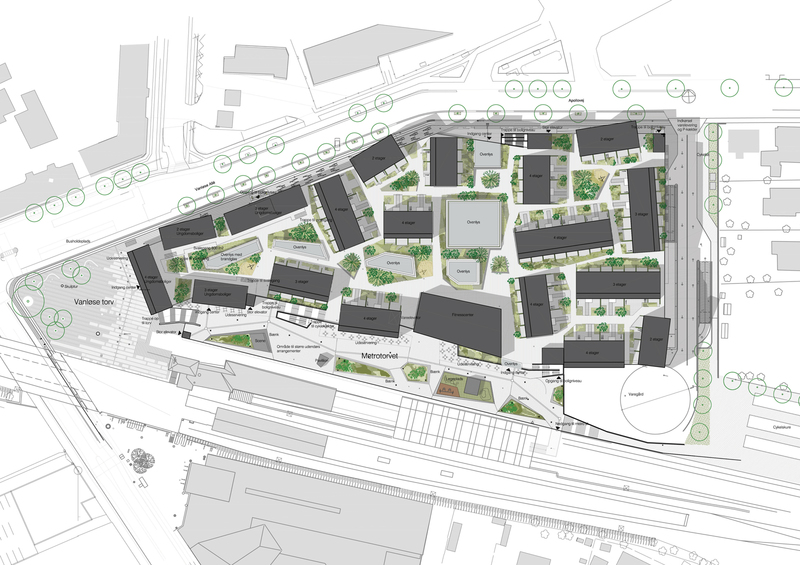 The vision for Tagkronen is to create a housing development based on the principles of sustainability, community and liveability. 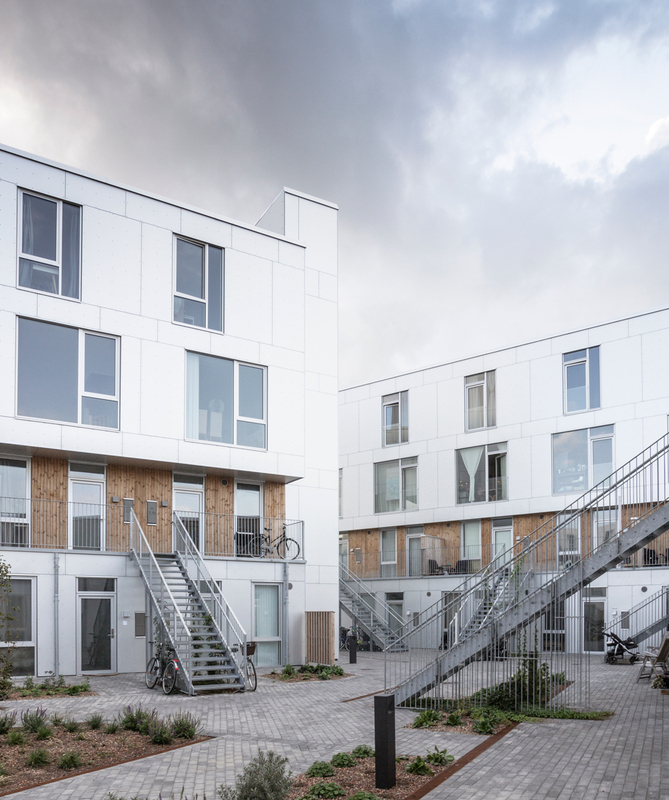 The project provides a mix of housing types, built using recyclable materials and near to sustainable public transport. Located right at the heart of Vanløse, next to the metro station and built above the Kronen shopping centre, the new residential neighbourhood has magnificent views from its green landscape – and no cars. It is a small green village, yet close to everything. 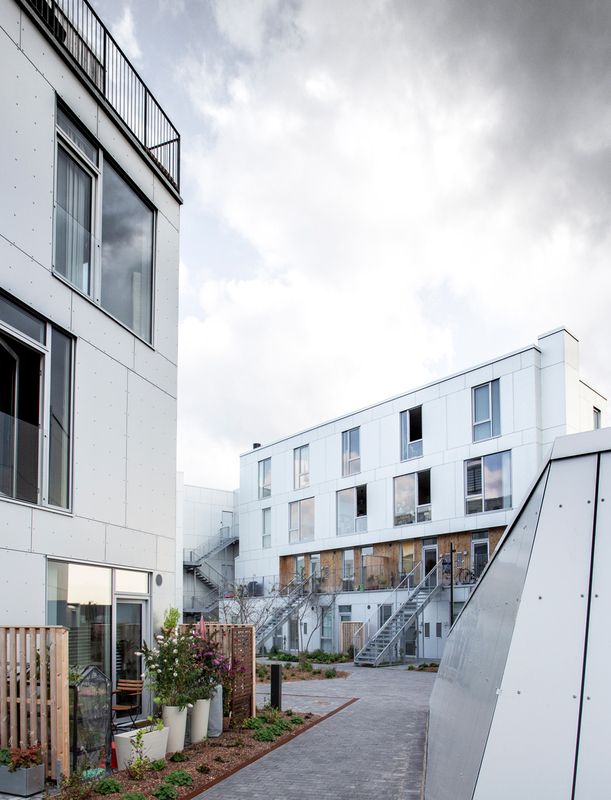 The project is built from prefabricated wood modules – a fast, easy, efficient and very CO2-friendly construction technique. 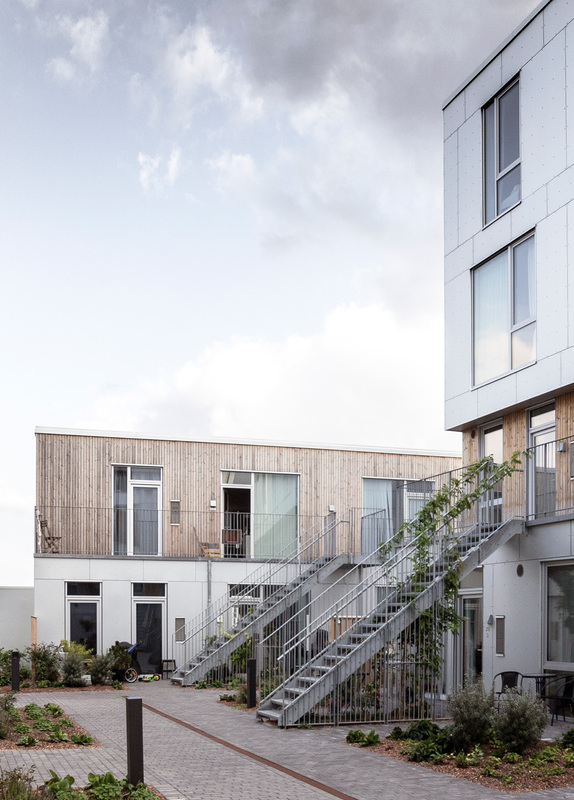 The wooden modules form compact row and townhouses, from between 2 and 4 stories, 12 meters above the ground. The accommodation is architecturally integrated into the shopping mall located on the ground and first floor, and so the new neighbourhood combines innovative housing with a wealth of shopping opportunities.